The day has finally arrived! 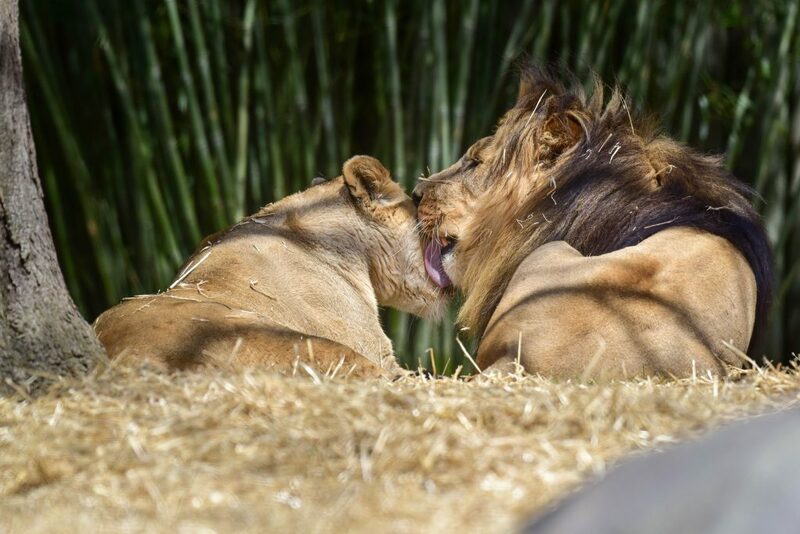 The new and renovated Lion Habitat is now open to guests, and our lions Zuri and Hassan have returned. 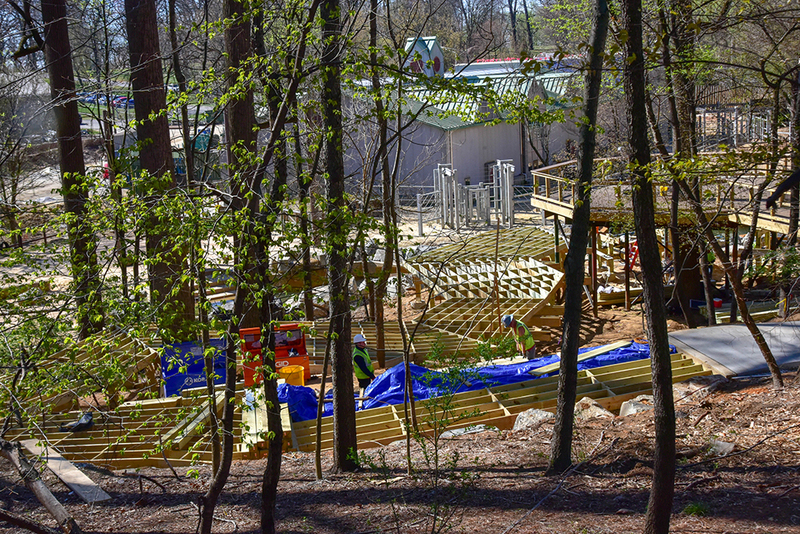 The giraffe yards and expanded Elephant Overlook are still in progress, but with warmer weather now in the air, construction is springing forward! Check out the update below for the latest news on the renovations. 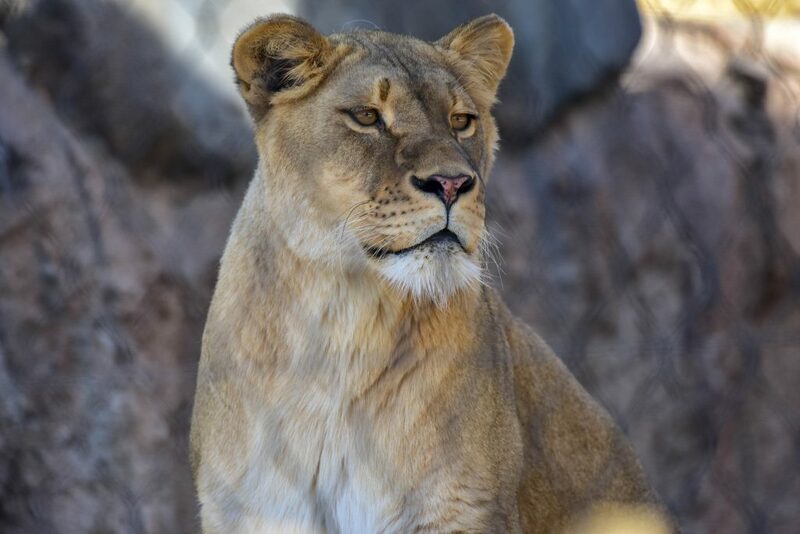 Zuri, our female lioness, observes her new surroundings in the renovated Lion Exhibit. 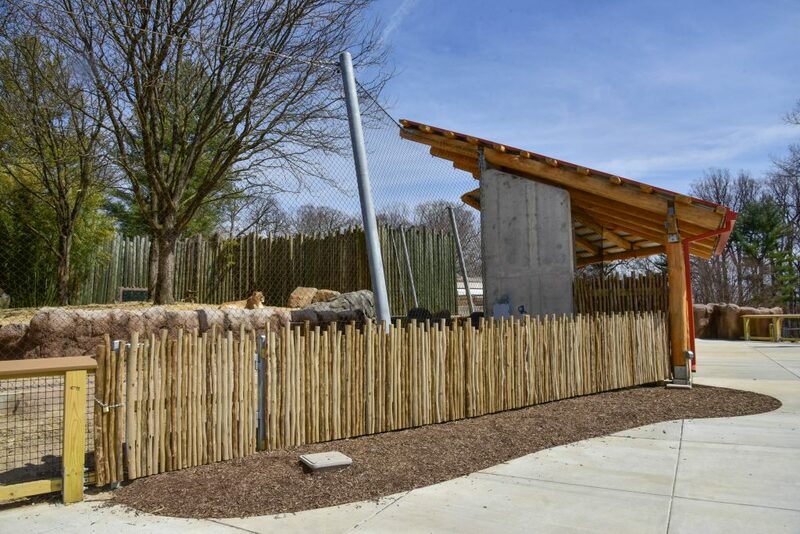 The completed Lion Habitat, as viewed from the new African Overlook pathway. 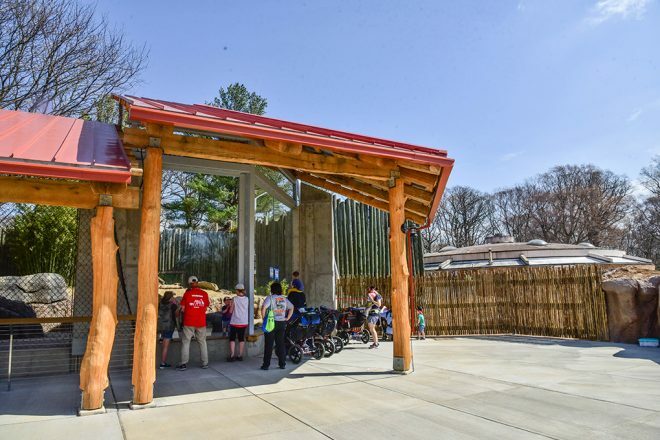 The mesh fencing and glass windows allow for an open exhibit so guests can have a more personal look at the lions! Finishing touches and landscaping are still underway. 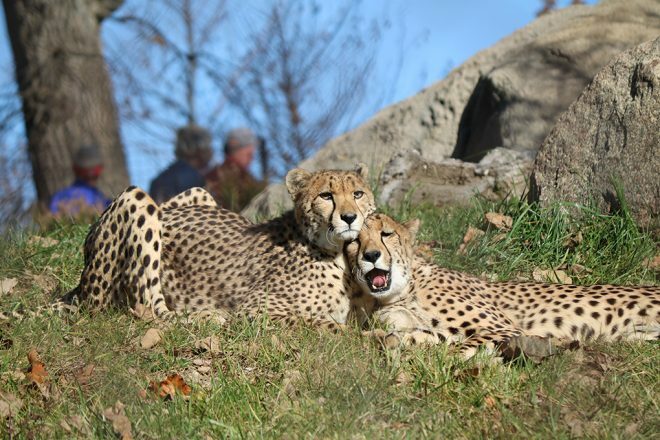 Hassan and Zuri lounging in the warmer weather; the new improved and graded exhibit allows more space for the lions to interact with their environment. 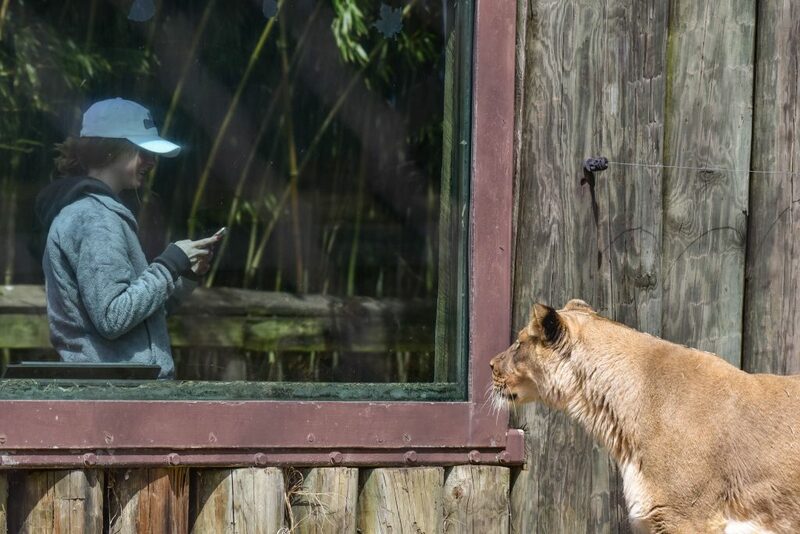 Zuri observes a Zoo guest through glass viewing areas. 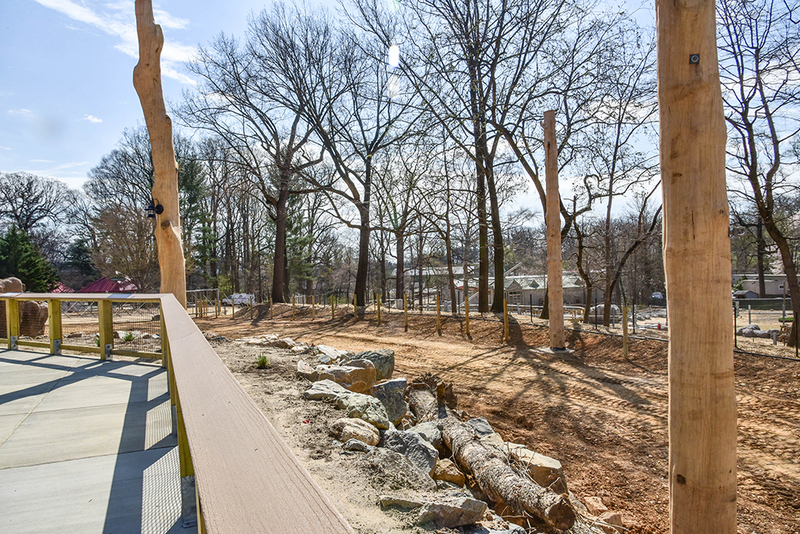 The expanded giraffe yard next to Giraffe House is now complete and giraffes will soon begin exploring it. 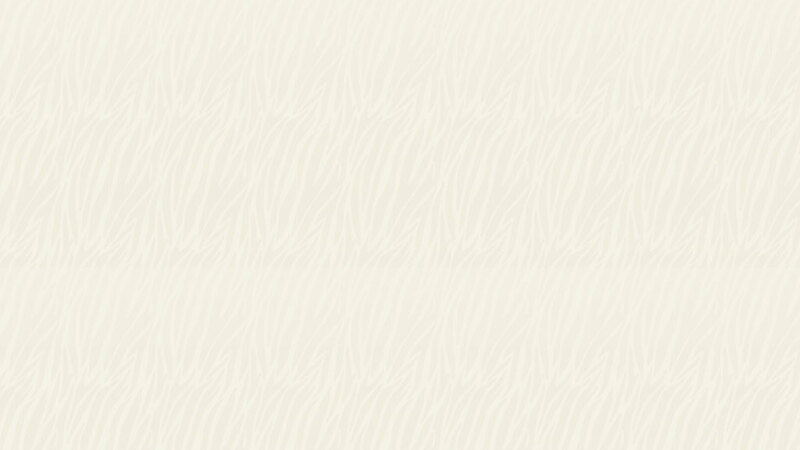 Note, the colored Xs are currently in place to assure the giraffes see the new, less noticable berriers. 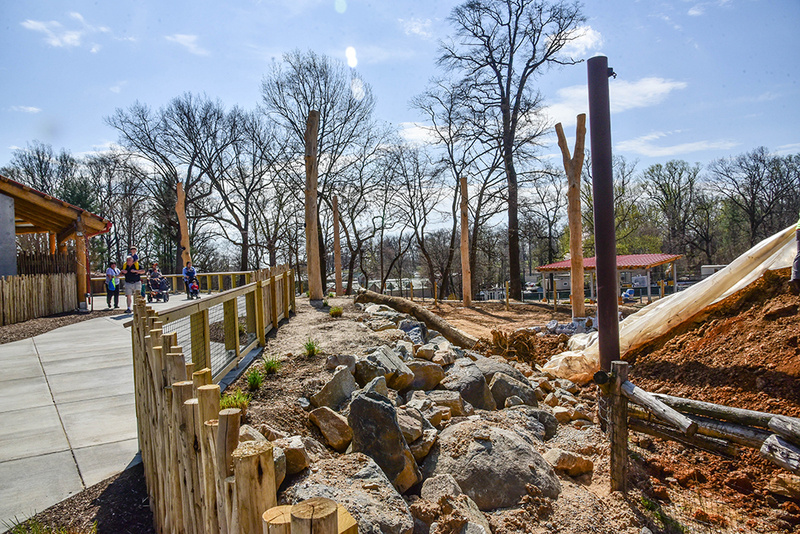 The giraffe yard next to the renovated lion exhibit is seeing a lot of change, with the big pile of dirt slowly being removed and new rock barriers put in place. 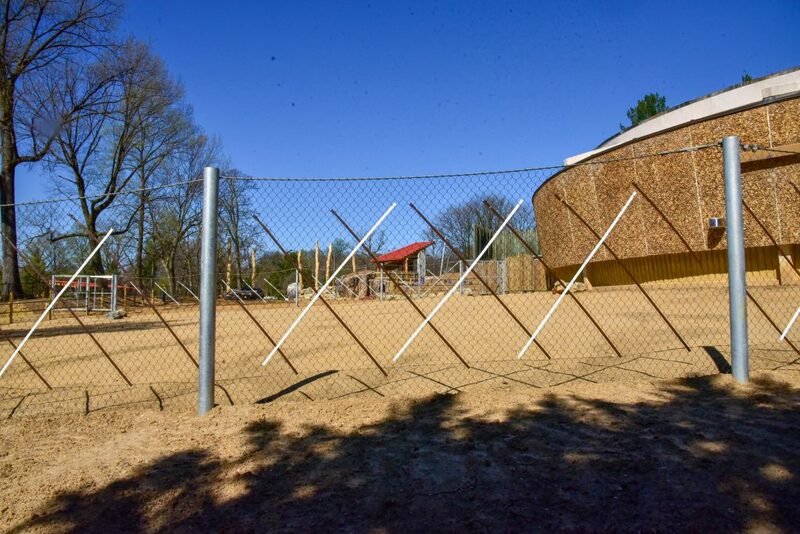 A natural wooden shade structure has also been erected in the giraffe yard which will provide shade for the animals once material is pulled across the top of the poles. Big things are happening near Elephant Overlook! As you can see, the foundation for the expansive new boardwalk is almost complete! 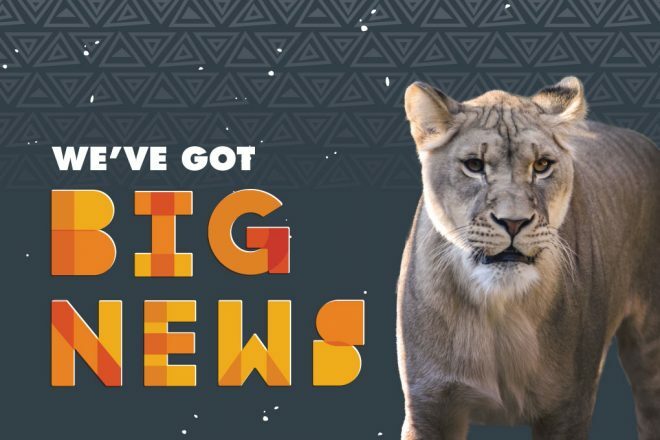 For more info on the African Journey renovation project, including renderings of what new habitats will look like, click here.